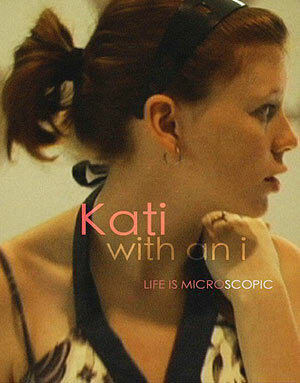 Kati with an I is screening on Monday February 14 at 8pm at the Big Sky Documentary Film Festival in Missoula, Montana. Kati with an I (Director: Robert Greene): Shot mostly over a tumultuous three-day period leading up to Kati’s high school graduation, this moving portrait, directed by her older half-brother, offers an intimate window into one particular life at one particular time and in the process achieves a beautiful sense of universality. By cutting in older home movies of his sister, Greene makes the documentarian’s capture of passing time even more poignant. We see this confident little girl growing into a slightly less-confident young woman on the verge of leaving her rural Alabama hometown and her childhood friends. Her sense of panic manifests itself most keenly in her clinging attachment to boyfriend James, a sensitive young man a few years older who’s content to work at the local McDonald’s. After graduation, she’s moving to North Carolina to rejoin her parents and attend college, and she’s insistent that James come with her. He’s clearly hesitant to leave his own family, but professes his love with seeming sincerity. Yet her desperation seems to paralyze him, and he can’t promise her when they’re going to leave. Graduation day approaches, and her parents are coming to see her. They want her to return with them, but she’s terrified that if she leaves without James, he won’t follow. The camera trails her everywhere in these emotionally fraught days, as she enjoys precious time with friends she may lose forever and as she prepares to face an unknown future as an “adult.” Seeing the shots of her as a younger child reinforces the fact that in many ways, she hasn’t grown up. This rite of passage seems an absurd and artificial border into an adulthood she doesn’t want to enter just yet. Clinging to James is her adolescent equivalent of clinging to a teddy bear. Her romantic illusions about James are intact but she seems aware that they’re precarious. There are some absolutely lovely moments of them together, especially when the two join in singing along to a CD of “their song” while riding in the car. The presence of her older brother, even unseen, capturing these fleeting moments adds depth to the moment and makes it nostalgic even as it’s happening. The whole film is suffused with a keen sense of these moments passing away even as they’re captured. Despite the fact that this is a deeply personal film, and that the sound and video quality are at times uneven, there is a lot to love about Kati with an I. Like a few other recent docs (October Country, Billy the Kid, 45365, The Way We Get By), this film shows us a part of America not usually seen in the movies: rural, white, deeply religious and conservative, full of flawed but genuine people trying to get by. And by turning the camera onto a member of his own family, Greene is expressing something of his own feelings about his roots. Although some may find the film uncomfortably intrusive, it’s never exploitative. On the contrary, Kati with an I is a powerful expression of love, from a brother to a sister, from an adult to a child, and from an urban sophisticate to his rural roots. It’s moving and lovely and particularly alive. Like Kati. This entry was posted in Documentaries, Screeners and tagged americana, coming-of-age, family, highschool. Bookmark the permalink. Sounds interesting, sad and maybe a little frustrating. I’m pretty sure that any film about a kid growing up and getting ready to move on will leave me a blubbering mess now that I have kids of my own. Even though the Kleenex may have to be passed around for this one, I’m going to keep my eyes open for a chance to see this one.